Located on the same block as the Plaza service and sales departments, the Plaza Body Shop is the number one Dealer Preferred Collision Repair Center in New York. Our trained staff not only understands the bond between a vehicle and its owner but also the frustration that sets in upon discovering any bodily damage that has resulted from a collision. That’s why we make it our top priority to ensure that each damaged vehicle returns completely revitalized in a timely fashion. 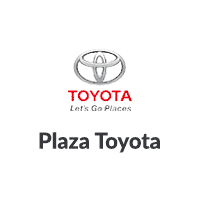 From a mild fender bender to a more serious car crash, the Plaza Body Shop has your back! Our phenomenal staff of trained professionals operates closely with insurance companies, as well as the service and parts departments, to get your vehicle back on the road. Need a boost? The Plaza team has got you covered. For your convenience, we offer our customers 24/7 towing services. Your satisfaction guaranteed! The Plaza Body Shop is the best place to bring your car to be restored, no matter the make or model! We transform your unfortunate circumstance into a stress-free and positive experience. We repair all makes and models! Put us on speed dial! We use state of the art equipment and manage 100% of your claim. We use downdraft spray booths, frame, and unibody chassis machines, laser wheel alignment machines for airbag, engine and transmission problems. We also use factory urethane and water-based paint systems all in an effort to bring your car to a nearly new condition. Schedule your service online or call us to become one step closer to revitalizing your vehicle today! With nearly 40 years of experience in automotive restoration, the Plaza Body Shop remains a trusted facility for car owners in need. When you have problems, we provide solutions. Our expert employees will have you back behind the wheel faster than anybody else with the confidence of knowing your vehicle was touched by trusted hands. 1. Stay calm and call 911 immediately, even if no one was hurt. 3. Jot down as much as you can about the accident while it’s fresh in your mind. 4. Call our Plaza Body Shop. Do not take any quick-fix offers. We’re aware of the proper procedures and have formed great relationships with many insurance providers. 5. Have your vehicle towed in/ drive into 2721 Nostrand Ave after the police have arrived and completed their police report. 6. Call your insurance company to file a claim.